SensMetrics dramatically simplifies and enhances signal timing optimization and safety assessments for agencies around the globe. Sensys Networks, Inc., the world’s leading provider of integrated wireless traffic data systems for Smart Cities, announces a new data analytics product suite while exhibiting at ITS America Annual Meeting and Expo. SensMetrics, a software solution for traffic management professionals and Agencies, provides the analysis and visualizations they need to optimize signal timing, reduce arterial congestion, and improve intersection safety. SensMetrics leverages the renowned accuracy and design flexibility of the Sensys Networks wireless sensor network to provide access to data analysis and visualizations that have traditionally only been available as the result of time-consuming and expensive traffic studies. Now Agencies can access precise congestion, coordination and safety performance at any time from a continuous 24x7 monitoring system. Through visualizations such as V/C ratio by phase, the Purdue Coordination Diagram and automatic turn movement counts, Agencies can re-time their signals for minimal congestion. And with ongoing reports of red light violations, Agencies can monitor and manage safety at the intersection. SensMetrics is available for demonstration at the Sensys Networks booth #306 at ITS America’s 25th Annual Meeting and Expo in Pittsburgh, PA June 1-3, 2015. 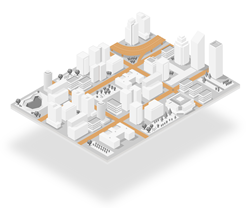 Sensys Networks improves the way people travel through cities. We deliver accurate and dependable detection data to drive reductions in urban traffic congestion for partners and public agencies around the globe. For more information see http://www.sensysnetworks.com.